Are you curious about organic Argan oil, but not sure how to use it or thought maybe it's a waste of money because it looks so expensive? Argan oil is one of my favorite multitasking, natural wonders to moisturize my face, body and hair at home or on the go. If you want your skin to be healthy, hydrated and glowing, this is definitely the natural product for you! A-list celebrities, hair stylists, beauty experts and everyone in between love Argan oil as soon as they try it. Why else would be there such an Argan oil craze? It's the best way to moisturize your face, body and hair and even your baby too! Here are 10 ways to use nature's miracle wonder oil, the New York Times deemed "liquid gold". After cleansing, apply a few drops of argan oil directly onto your face and neck. Since Argan is a dry oil, it absorbs quickly and won't clog pores or cause breakouts. To use as a serum, add it as a booster to your day / night cream, conditioner, ect. Add a few drops of argan oil to your favorite facial toner to hydrate and tone simultaneously. Tip: Make your own toner by adding a few drops of argan oil to Rose or Orange Blossom water! Add a few drops of organic Argan oil to a facial mask. Or make your own mask by mixing 1 tablespoon of organic lemon juice, 3 teaspoons of organic Greek-style yogurt, 1 tablespoon of raw honey and 3 drops of organic Argan oil in a bowl. Apply on a clean, dry face and leave on for 10 minutes. Rinse with warm water. To smooth and moisturize your lips, add a few drops of organic Argan oil and organic vanilla extract to fine organic brown sugar. Lightly massage into lips using circular motion and rinse off. Add a drop or two of organic Argan oil to your foundation, bronzer or tinted moisturizer for a dewy, luminous glow! You can do the same with a tinted body lotion. 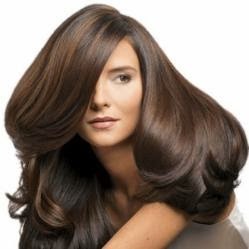 When your hair is dry, use as a styling product by adding a few drops of organic Argan oil to the palms of your hand. Rub your hands together and run your fingers through your hair to create shine and tame frizz. You only need a small amount to make a big difference. Massage a generous amount of organic Argan oil into your hair, ends and scalp. Wrap your hair and leave it on while you sleep. In the morning, wash your hair and you’ll have luminous, soft locks. Massage a few drops of argan oil into your cuticles to soften, moisturize and encourage nail growth. Use as an overnight treatment to nourish cracked heels by working a good amount into your feet and toes. Cover with socks and wake up to supple, soft feet. 10. Body and Bath Oil – Add a few drops of organic Argan oil directly onto your wet skin, into the bath or in your body lotion. It’s safe to use on your baby and helps minimize stretch marks on Mom's pregnant belly too. You can find organic Argan oil at Sephora online and instores or at www.josiemarancosmetics.com. Do you have more uses for organic Argan oil? If so, leave a comment with your favorite ways to use this miracle oil.